High quality, tender and juicy Butterball® Whole Turkeys come in a variety of sizes and types to fit any gathering. Available fresh or frozen. 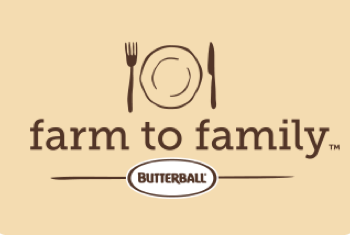 Fresh, all-natural Butterball® whole turkeys – selected for the highest quality – are a great way to cook your family a feast when you don’t have time to thaw. 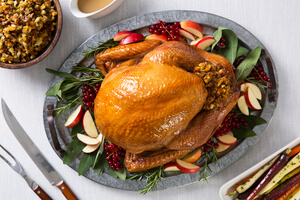 Frozen, all-natural Butterball® whole turkeys can be purchased weeks in advance and thawed a few days before your dinner. 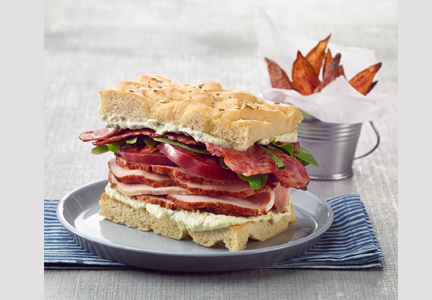 For an even simpler option, try a fully cooked frozen turkey. 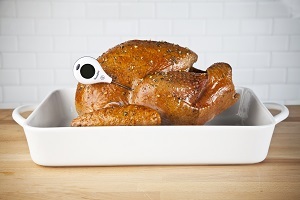 Ready to Roast turkeys go from freezer to oven with no thawing, no prep and minimal clean up. With the same quality and taste as our traditional whole turkeys, Ready to Roast is our most convenient option.